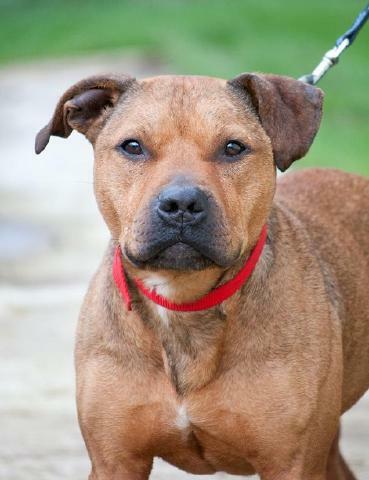 Homing Requirements: Wilfred needs a Staffie experienced family around him, building his confidence and general morale. Wilfred is concerned around dogs if they get too close and politely tells them to go away and leaves it at that. Preparedness to use a halti to give muzzle control & so avoid him fixating on branches or should an off lead dog come to close. Wilfred needs acceptance and slowly comes close. Secure garden. Can be left without event. His Story: Wilfred was found stray many times and has had many homes, reclaimed except for last time. Wilfred carries sadness from his past with him which has softened with time in our fosterers care. Wilfred is neutered, chipped and vax'd. 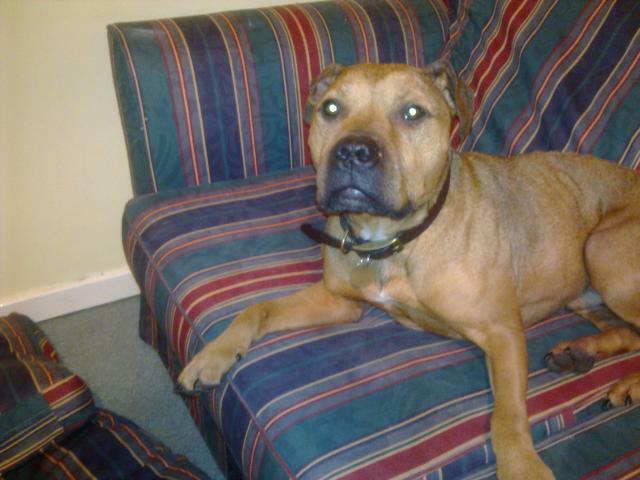 Wilfred is currently fostered in Brighton, East Sussex. 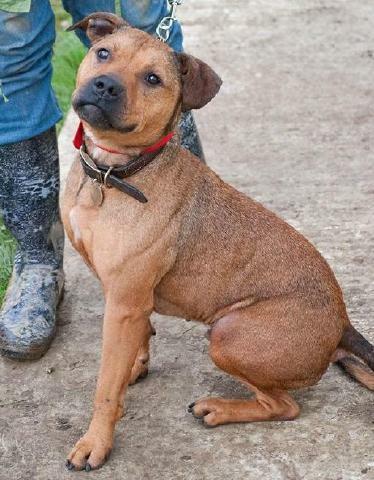 Advert: Wilfred needs his family! He was depressed with life & is concerned around dogs though did settle within a gentle pack in evenings with his first foster. 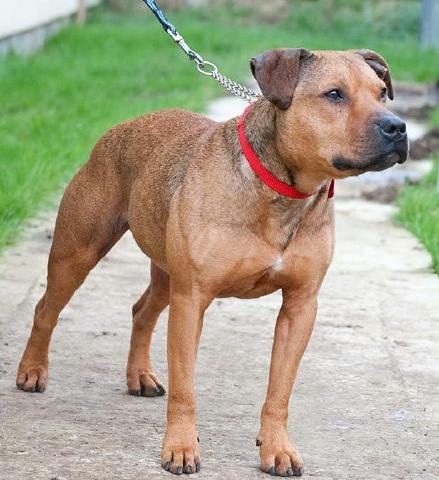 Wilfred enjoys his walks but can get tense with any over-friendly off lead dogs. He tries to shoo them off as will his handler as Staffie owners are apt to do. Wilfred is still learning to trust close contact and now comes over for a cuddle if invited. Wilfred is dog shy, camera shy, shy in general and melts when given love, like taking a heavy jacket off. Wilfred has a red with black fleck 2-tone coat with black muzzle: He is a middle aged, a 5-6 year old Staffie who doesn't leap, mouth and isn't in your face with licky emotionality. He is coy, reserved, self sufficient and a little fragile in his relationships as he obviously hasn't had support and much care in his past. 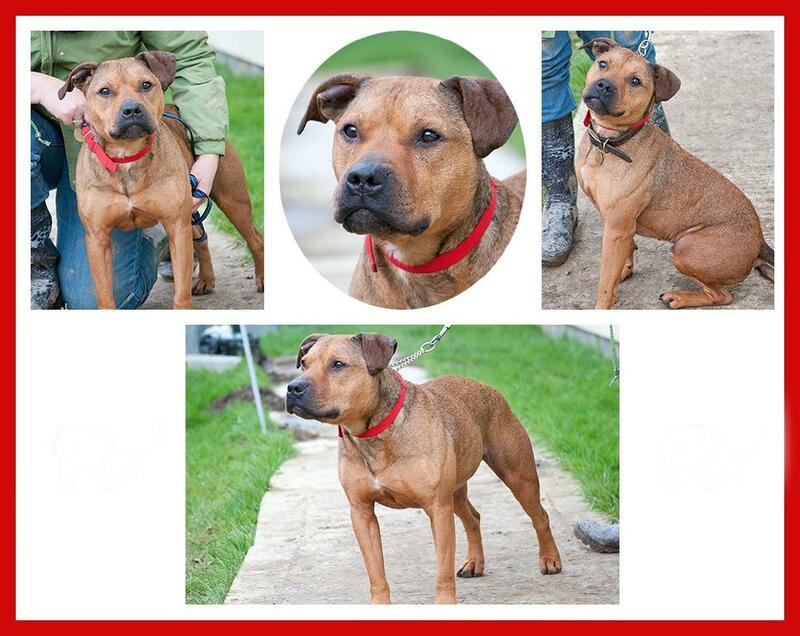 Wilfred is special and needs a caring family. Please visit Wilfred’s thread on our forum: http://rescueremedies.myfastforum.org/sutra108217.php#108217 to find out if he is still available and for fuller details. If you are interested in re-homing please complete our homing questionnaire: https://rescueremedies.wufoo.com/forms/r7x3s5/ so we can ensure our dogs are matched and will suit your circumstances/lifestyle. ***PLEASE NOTE: This ad has been posted by Rescue Remedies Dog Rescue. We are a registered charity (No. 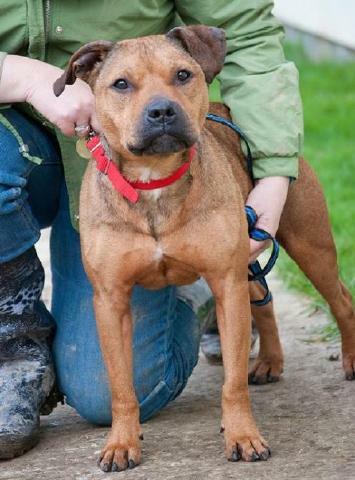 1139407) and our work involves finding unwanted dogs their life long homes. We currently have approx. 100+ dogs under our wing. We usually ask for a minimum donation of £175 at the time of adoption, for each dog, to help us continue helping homeless dogs***.